Democratic Alliance leader Mmusi Maimane says former SABC chief operating officer Hlaudi Motsoeneng has flipped the bird at South Africa’s legal system. “He has sent the middle finger to the judicial system. 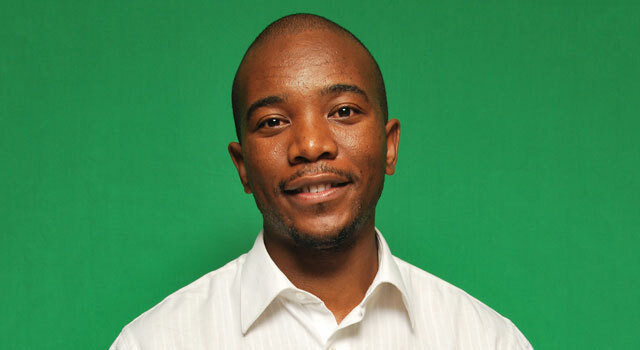 The courts don’t matter, and if the courts don’t matter it is the destruction of democracy in South Africa,” Maimane told party members and reporters outside the broadcaster’s offices on Monday. Maimane said people couldn’t sit at home and act like everything was okay, because if Motsoeneng could not obey the law in the country, then no one would. Hundreds of DA members gathered outside the SABC offices in Auckland Park on Monday morning to demand Motsoeneng’s removal. The members sang and chanted “Fokof Hlaudi” and “Hlaudi must go”. Some held up had placards that read “Hlaudi — Zuma’s puppet” and “Ban Hlaudi’s R11,4m bonus”. One member brought along two of her children who also held placards. They handed over a memorandum to the broadcaster and Maimane gave the SABC 72 hours to respond. Last month, the supreme court of appeal rejected Motsoeneng’s bid for leave to appeal against a November 2015 Western Cape high court ruling declaring his appointment as COO irrational and setting it aside. This came after public protector Thuli Madonsela found, in a report released in February 2014, that Motsoeneng had lied about his qualifications when he applied for the position of COO, that he hiked his salary from R1,5m to R2,4m in one year, and purged senior staff. Last week, the SABC announced that Motsoeneng was back in his old job as group executive of corporate affairs. It was also reported last week that Motsoeneng had allegedly organised himself a massive R11,4m bonus. “Despite having two masters degrees, I could not be able to find a legal way of paying myself a bonus of R11,4m,” Maimane said on Monday. He said Motsoeneng did not just magically appear at the SABC. “From day one, Hlaudi was given a mandate: do number one’s (President Jacob Zuma’s) bidding and you’ll have the power of being number one at the SABC,” he said. Cope leader Mosiuoa Lekota said the fight for freedom from apartheid also meant a fight for freedom of speech. “The struggle took us to Robben Island. We thought when freedom comes the voices of our people would be heard without restriction,” Lekota said. He said the SABC was now in the hands of a president who had broken his oath of office and did not represent the people of South Africa. Lekota said he had first met Motsoeneng as a young boy in the streets of Qwa-Qwa. “This young chap improved himself by buying a hat. He told members of parliament, they don’t pay him,” Lekota said. He said this was not the freedom that they struggled for with Nelson Mandela. I didn’t think he would listen. He’s not going anywhere soon.